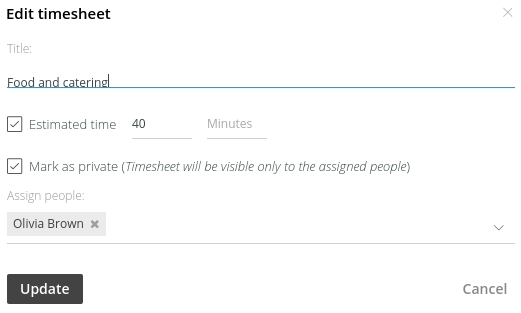 Select any timesheet from left of your screen. Either right click on it or click the menu icon from right and choose Edit option. A window will pop up from where you can make the required changes. Either right click on it or click the menu icon from right and choose Delete option. A confirmation window will pop up. 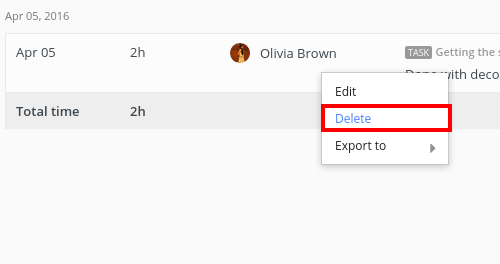 Click Yes to confirm the deletion. Select any time entry from all time entries. 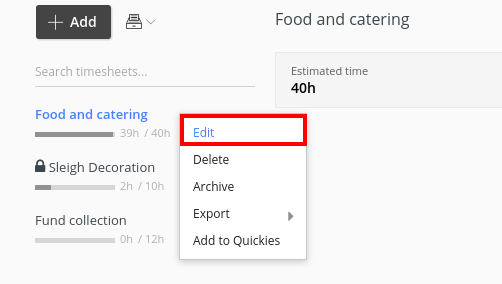 Either right click on it or click the menu icon from right and choose Edit option. A window will pop up from where you can make the required changes. You can also add/edit status to your time entry by clicking the dropdown menu besides Status like whether it is billed, billable, non-billable or void etc. 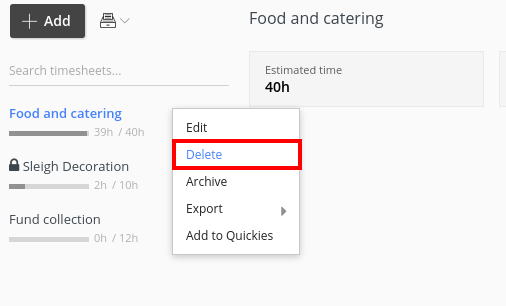 Right click on it and choose Delete option. A confirmation window will pop up.